The quote rightly suggests the need of investing in the right way in right time. MSME is one of the vital enterprises which pave way for establishing startups, moreover MSME Registration in India alleviates the conditions and facilitate for a better…. 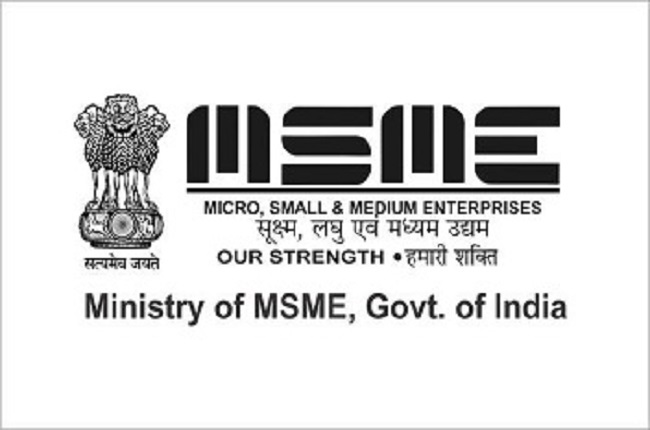 MSMEs defined as the Micro, Small and Medium Enterprises based (i) on the investment in plant and machinery for those engaged in manufacturing or production, processing or preservation of goods and (ii) on the investment in equipment for enterprises engaged in providing or rendering of Services.1 Micro, small and medium enterprises will be instrumental in making India a hub for startups. MSME are favourable for a startup to develop and flourish. MSME require less investment and create employment on a large scale, enhancing one’s economy. Startups are business entities which are newly emerging and aiming to develop a marketplace through a viable business model. There is a huge difference in the way Startups and MSME is interpreted. Startups mainly are those entities which have been established for not more than 7 years and have an annual turnover of less than 25 crore. Whereas, MSMEs are those which are small-scale units Conveniently, MSME Registration for a startup can be extremely advantageous to the business owner since it requires less investment as well as provides employment opportunities. Certainly, after the Make in India initiative, it was contemplated to include a Micro, Small and Medium Enterprises to be a part of startups. With this initiative, startup had a change in its definition by including MSME as a part of it. One of the main aims of Make in India was to boost up the manufacturing sector in India which would be an instrumental key for India’s economic growth. Previously, due to lack of infrastructure, manufacturing sector used to lag behind. This discrepancy has been rectified by the inclusion of MSME under the MSME act, 2008. For MSME, manufacturing of goods is a part and parcel. Therefore, inclusion of MSME for startups is indisputably welcoming and assuring for tremendous economic growth. MSMEs contribute entrepreneurial culture through business techniques and innovations. Moreover, these enterprises have gained worldwide recognition for their expertise in- Auto components, Leather goods, Jewellery, Engineering items etc. Small businesses in India are set up by naïve entrepreneurs who have incorporated unconventional ideas and have zeal to work hard to succeed in their conquest. Unfortunately, these businesses suffer in losses due to lack of capital investment as well as incentive. For this purpose, MSMEs are of crucial importance which establish an entity with limited capital investment. Naturally, a business with limited investment procures enhanced employment opportunities. Thus, an MSME for startup is a boon which enables a higher margin of profit as well as expansion of one’s business. What is more, an MSME for startup has the benefits that come along with it. Free bank loans: The CGS (Credit Guarantee Scheme) has been established by the Government which provide free loans to those who have incorporated MSME for Startup. Direct Tax Law: Enterprises which have registered under MSME are exempted from paying Direct Tax in the early years of business. Rate of Interest from banks: Banks have been provided with the target of achieving a credit growth of 20% to small and micro enterprises, 10% growth in the number of micro enterprises. Along the same lines, the banks need to lend 60% to the micro and small enterprises. The division of the 60% being, 40% of the advances to be offered to the manufacturing sector of the small and micro enterprises which deal in investment of plant and machinery upto 10 lakh and service sector’s equipment investment upto 4 lakh; 20% of the total advances to be given to the manufacturing sector of small and micro enterprises which deal in investment of plant and machinery between 10 lakh and 25 lakh and in case of service sector, investment of machinery above 4 lakh. Patent Registration subsidy: Businesses if formed under MSME, the owner can get 50% subsidy on patent registration. Licenses: Licenses are easily approved to those enterprises which have registered themselves with the MSME. While dealing with licenses, one just needs to show the Certificate of MSME Registration in India and the license can be approved. Tenders: Enterprises having registration themselves under MSME have an edge over other Enterprises, since they get a preference in procuring government tenders. Default by buyers: The MSME for startup provides protection against default payments of the buyers. The buyers need to make the payment on or before the date of payment. In case of default, the buyer gets an extension of 15 days from the agreed date of payment. If the buyer makes a default again, then he has to pay compound interest with monthly interest to the supplier from the agreed date of payment or fifteen days of extension. The interest is three times higher than that of the Bank rate. An MSME Registration Certificate is highly favorable and productive to blossom one’s Startup. Thus MSME for startup proves to be worthwhile and beneficial for a country’s economic growth. You can visit Company Vakil and their experts will be happy to guide you through and get your MSME Registration Certificate today.